David Howard King is the editor/associate publisher of the Capital Region’s new alternative newsweekly The Alt. He spent 7 years covering state government from a New York City perspective for The Gotham Gazette. 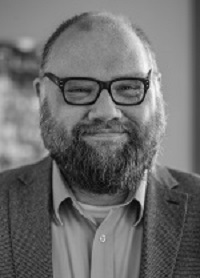 In 2012, he served as the state reporter for The Center for Public Integrity’s State Integrity Investigation that was backed by Public Radio International. He started his journalism career through an internship at Metroland, Albany’s defunct alt-weekly. He was hired there later that year. My father was always an enigma–a British tour bus driver who left me and my mother when I was only 2. He’d pop up sporadically telling me stories about breakfasts with Mick Jagger and long phone calls with Pete Townshend. He’d disparage my mother and promise me a life of excitement if I’d just leave with him. I never knew when he’d show up next; whether anything he said was true, and whether his version of his relationship with my mother was a fabrication. I essentially grew up in the post-truth world we all live in today. It was through this tortured relationship with my father that I came to value “truth” and came to loathe spin and ego. It was what drove me to become a journalist. In 2009, I decided I was ready to find out who my father really was. I expected, unrealistically, that finding out would help me discover myself. I was ready to dig deep into family history and travel to England to write a book about what I found. In the end, I spent 16 hours on the train to Wisconsin with my fiance to see my father for the first time in 10 years. What I found changed my perspective on my life and my career, forever.